﻿The Friendship Garden Capri & Shorts PDF pattern for 18 inch dolls will be the perfect addition to grow your doll’s wardrobe this season. The trendy hi-lo hemline has a sporty look and is a good mixer with all kinds of tops, from blouses to tee shirts. 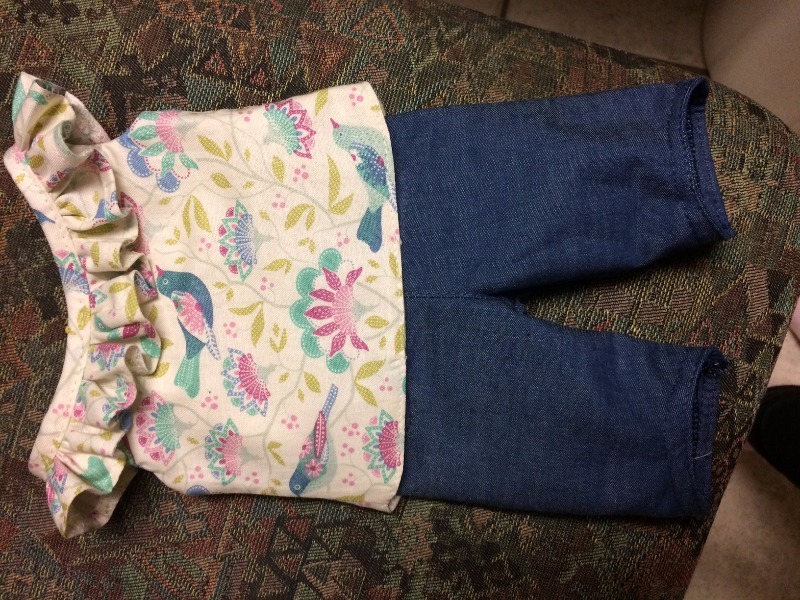 The pattern features a knee length capri pant and shorts that come in two lengths: medium and short. Choose to sew real circle shape pockets with lots of topstitching, or make the quick version with no pockets; you decide how much detail to add. The narrow waistband has a flat front with an elastic back for easy dressing. Add a small decorative button, ribbon or cording trim as an accent to the finished waistband to add more interest. Whether your doll is working in the garden, or shopping at the local farmer’s market, she’ll be all set to go with the latest Friendship Garden designs by Peppermintsticks. Look for the companion Friendship Garden Tie Blouse and Friendship Bracelets pattern to complete your outfit. 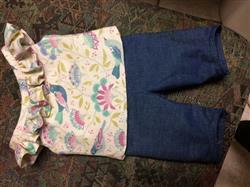 -¼, ⅓ or ⅜ yard- Depending on how the waistband is placed on the fabric. Choose from three Layout options. -Optional: Matching small button, ribbon or cord for embellishment. Just finished a pair of medium length shorts. They turned out so cute. Pattern was easy to follow.